Homicidal violence within families is a “poorly understood” aspect of domestic violence and is under-reported in Queensland, according to a new report. The Domestic and Family Violence Death Review and Advisory Board’s annual report, tabled in Queensland Parliament late last week, closely examined 20 cases of domestic and family violence deaths involving 30 victims. Since July 2006, nearly 300 people have been murdered in domestic and family violence circumstances, of which 80 per cent were women. There have been 153 intimate partner murders, 122 family murders, and 19 “collateral” murders over that time. 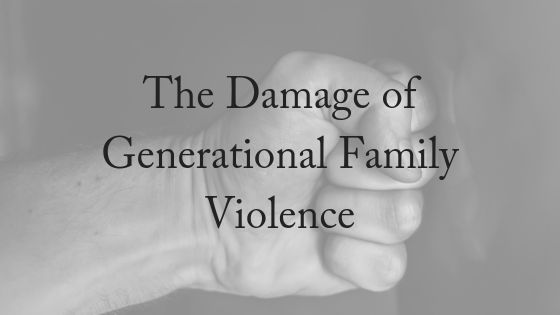 The report found that while much focus has been given to intimate partner violence, there was less understanding of generational family violence. The report cited one case in which a man who murdered their intimate partner reported being abused by his own adult children. Highlighting the case of Bradley*, a man in his 50s, the report noted Bradley killed his daughter and grandchild before taking his own life. He was being managed by mental health services in the community under a forensic order after attempting a similar murder-suicide more than ten years earlier. His daughter and grandchild moved into his home to support him before their murders. “Bradley’s family life was characterised by violence and he was identified as both a perpetrator and victim in different relationships within the family unit,” the report said. “Additionally, abuse was commonplace within the extended family unit, which was noted to cause him significant distress. The report highlighted that research and policy around domestic violence prioritised intimate partner violence and risked overlooking the complexities around violence in family relationships. The board found that in the cases it reviewed, disclosures about violent episodes were not taken seriously enough and more research needed to be undertaken to train responders in dealing with family violence. State coroner Terry Ryan, the board’s chairman, said 13 recommendations had been made by the board to improve responses to domestic and family violence. “The report notes the need for services to be better equipped to respond to people from a culturally and linguistically diverse background, and those experiencing violence within family relationships,” Mr Ryan said. The recommendations particularly targeted reducing the impact of violence on children, noting more than half the homicides in a family relationship saw children as the victims. The board also recommended developing further support for people from culturally and linguistically diverse backgrounds. People from diverse backgrounds made up more than 13 per cent of the total domestic violence homicides in Queensland over the past twelve years. Five of the thirteen recommendations focused on non-lethal strangulation in domestic and family relationships, urging the Queensland Police Service, the Royal Australian College of GPs and Queensland Health all assess their responses to such assaults. The Urban Child Institute says that breaking generational family violence is possible. In the U.S., it is estimated that more than 15 million children are exposed to domestic violence each year, and researchers believe that witnessing domestic violence may be just as harmful to children as being victims of abuse themselves. Studies consistently show that kids exposed to domestic violence are more likely to be in abusive relationships, even as early as adolescence. Likewise, their own children end up in the same setting of abuse and violence. Effective prevention programs can start in schools, providing education to kids about healthy relationships and conflict resolution. Programs can also target at-risk couples and parents, giving them training in conflict management and connecting them with services to alleviate other sources of family stress, which can increase risk for domestic violence. There’s also plenty of hope for children that have already been exposed to domestic violence. Research shows that some children do survive early exposure to domestic violence without adverse outcomes later in life, and these kids and their families offer clues to breaking these intergenerational patterns. For assistance with any aspect of family violence, separation and divorce, please contact our friendly, experienced team today. We offer a FREE, 10-minute phone consultation.